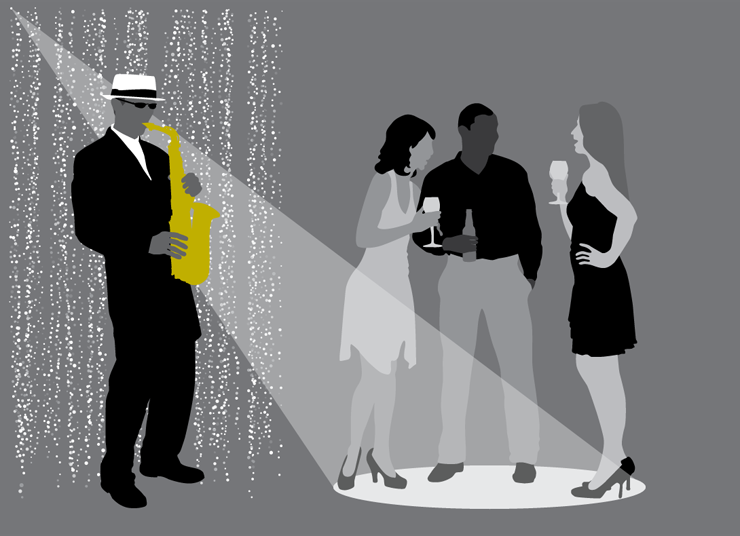 To cue your guests that this will be a fun party, Saxman Slim will perform upbeat songs to provide a lively atmosphere for the cocktail hour. Five minutes before the bar closes, the bridal party will be lined up in the hallway to organize the announcements. After confirming pronunciation of names, Slim will return to the ballroom to perform rowdy introductions. Other emcee duties include cake-cutting, toasts and the blessing.